This book is a live representation of all the events that Egypt went through in the last 7 years. There are great revelations of all kinds of things, missing pieces put together from the past. As a man who followed every episode by Basem, i was able to put all his previous episodes into context. I rewatched many episodes just to try sense what he is feeling at that time. 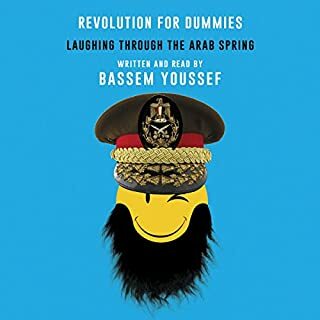 Although i believe Basem has gave enough criticism to all parties, though he would disagree with the word criticism according to his book, okay jokes, he did not tackle all issues freely as he did with the muslim brotherhood. I was looking for more on the current rulers of Egypt and the military coup.